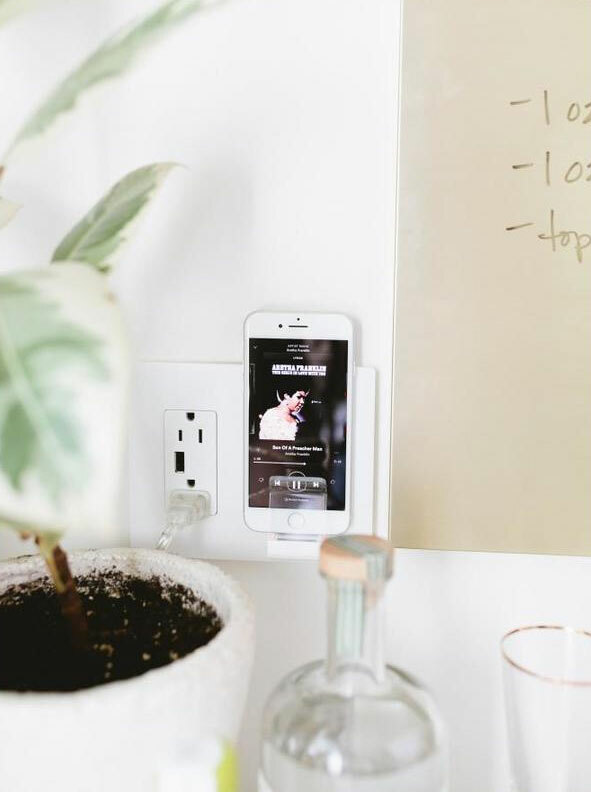 Legrand's Radiant wall outlet is a Qi wireless phone charger that kinda reminds of a quote I once heard: One small small step for man, one giant leap for man's efforts to clear his house of clutter and free up countertop space. 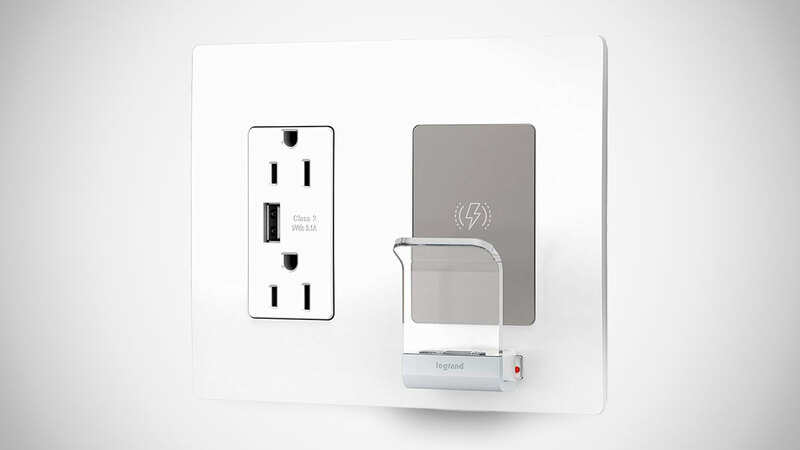 The Legrand Radiant outlet replaces any of your existing single gage outlets with 1 x stacked pair of 3-prongs, plus a 3.1a USB charging port, and 1 x Qi-certified wireless charger. 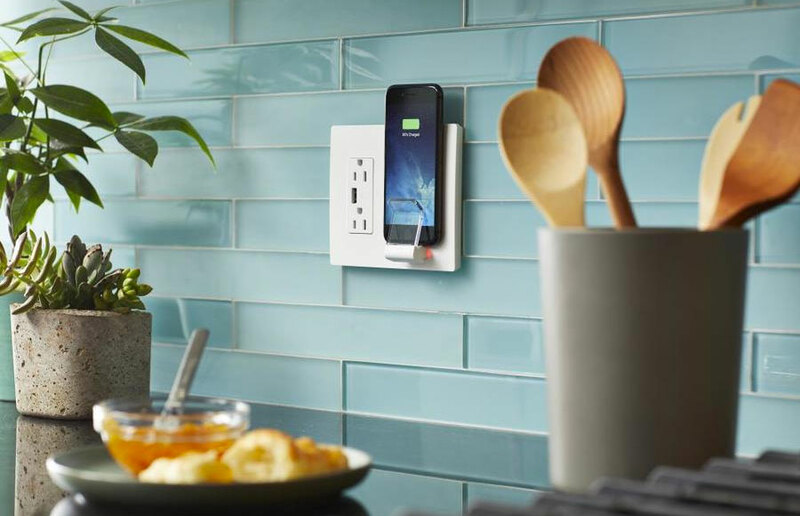 The wireless charging juices up any smartphone with Qi technology, and has a clear panel cradle to hold it in place. 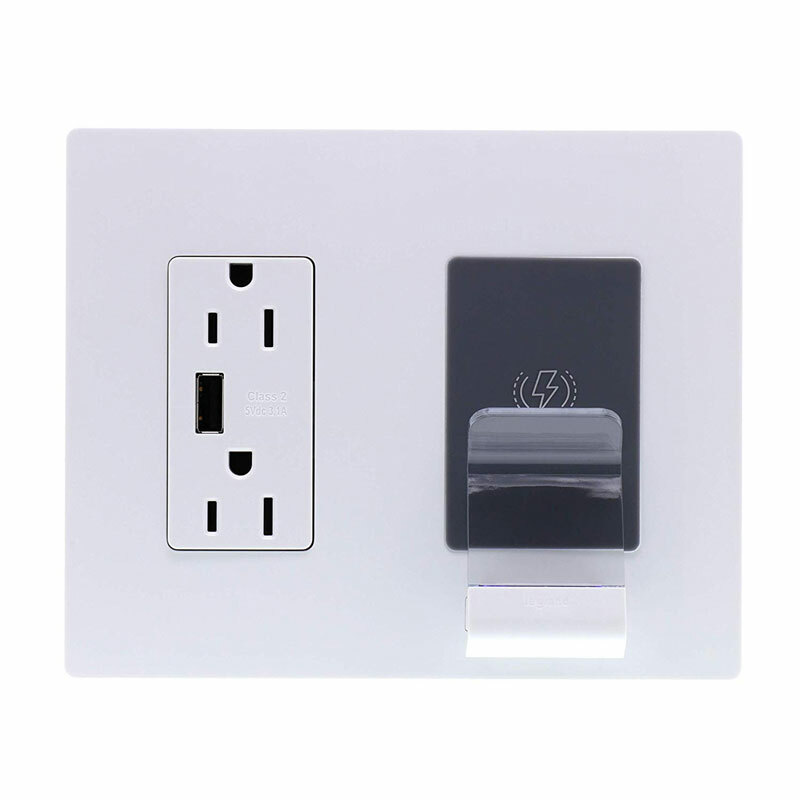 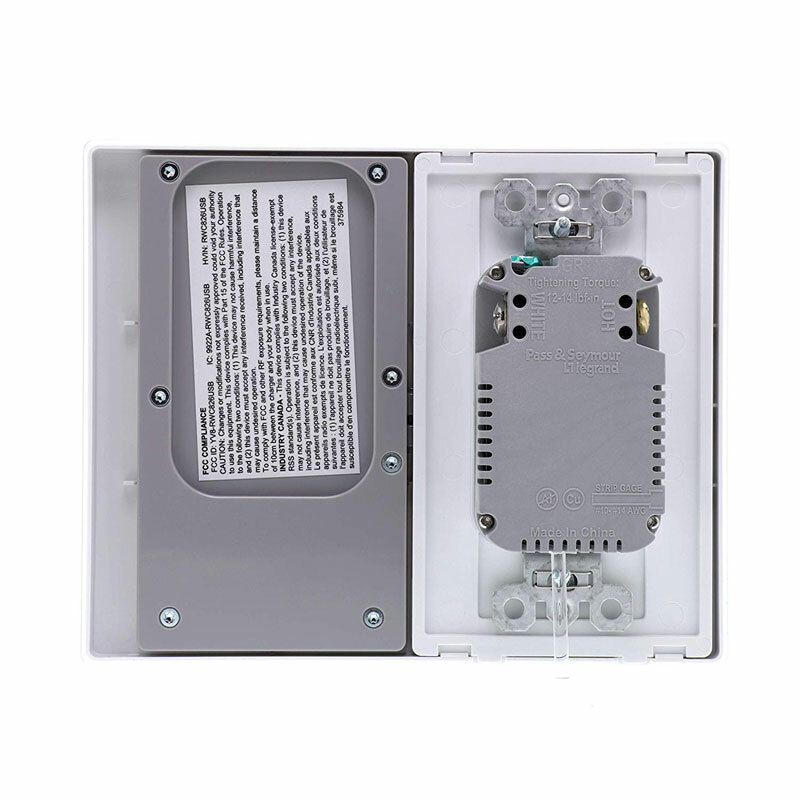 There is no need for special wiring for the outlet's installation.